Recently, my flute and piano duo played for an elegant corporate event at the Denver Museum of Nature and Science. Our client let us choose a mix of classical, contemporary and jazz tunes, leaving the specific music selections up to us. I enjoyed selecting tunes that would be a great fit for the event. We began by entertaining the guests with our music as they enjoyed cocktails up on the sky terrace. The hot day had cooled down to a sparkling evening and everyone enjoyed the sweeping views of City Park and downtown Denver that the terrace afforded. After cocktails, we moved inside and continued to play a mix of music for a couple more hours during the elegant candlelit dinner reception. From the Client: This is the second time I've used Christen for a corporate event. She is a superb musician, and both times I've used her the guests commented on how wonderful the music was. I would recommend Christen without reservation. She's very prompt to respond, is very warm and friendly and professional and her music is absolutely wonderful. Our flute and guitar duo had a cool and rainy drive up from Denver to Beaver Creek, Colorado on our way to play for an August birthday celebration. By the time that we arrived at the elegant private residence, the rain had stopped and the sun came out and it felt wonderful and warm. It was the perfect evening for guests to mingle outdoors during the cocktail hour. Everyone enjoyed the magnificent sunset accompanied by our music - an fun mix of classical, contemporary, and jazz tunes. After the cocktail hour, everyone moved indoors for dinner and toasts. During dinner, we played a selection of classical and soft contemporary music, and after toasts, we jazzed it up with upbeat jazz and contemporary music. 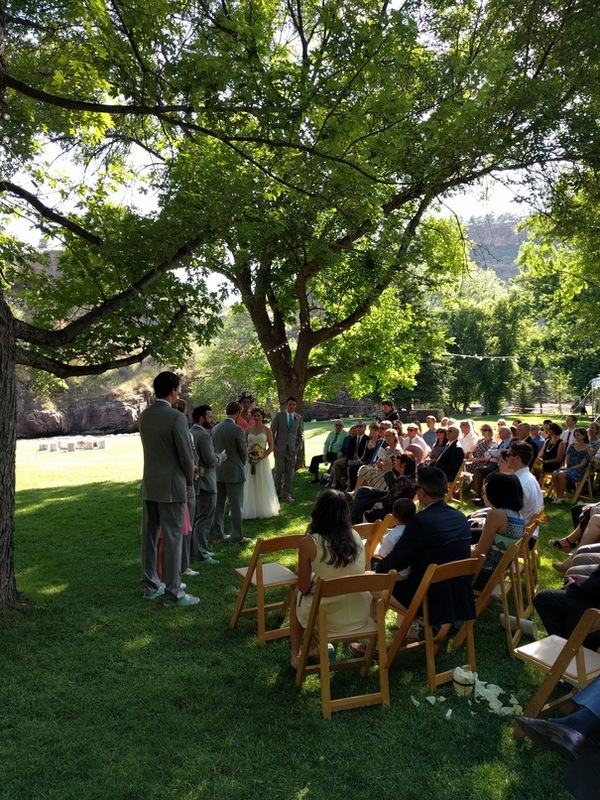 In late June, our flute and guitar duo played for a wedding ceremony at the River Bend in Lyons, Colorado. The setting at the River Bend was perfect for this outdoorsy adventure loving couple. It was idyllic with mature trees, a lush lawn, and a river curving in front of high rock walls. The guests enjoyed drinks, socializing, and playing corn-hole by the river before the wedding. Our flute and guitar duo played a mix of classical, popular and jazz tunes for the wedding ceremony and cocktail hour, and then we played another hour for the dinner reception. 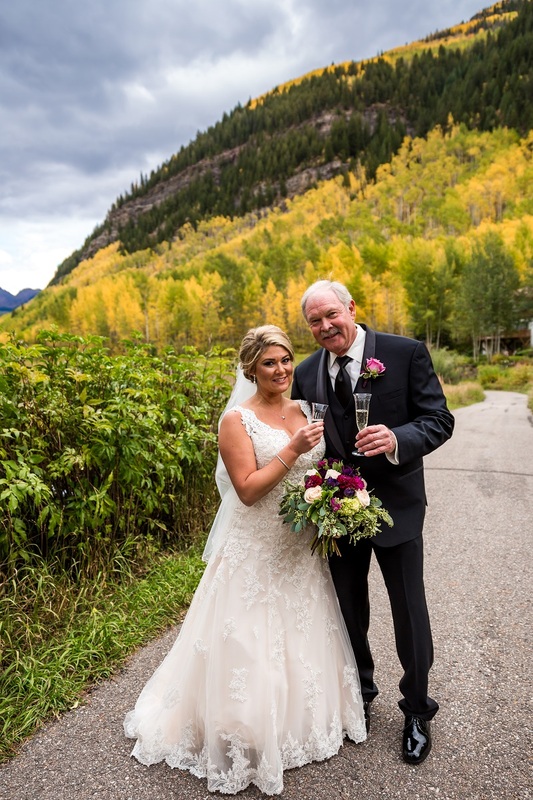 From the bride: "Christen Stephens was a wonderful addition to our wedding - very professional, timely, and easy to communicate with to figure out details for the wedding. Music was beautiful and just what we were looking for. Highly recommended." When planning a small wedding ceremony, it's important that the music you choose will reflect the intimate feel of the gathering of your closest family and friends. A soloist is perfect for a very small wedding ceremony, and a duo or trio works well with a slightly larger ceremony. A general rule of thumb is to hire at least one musician per 50 guests. 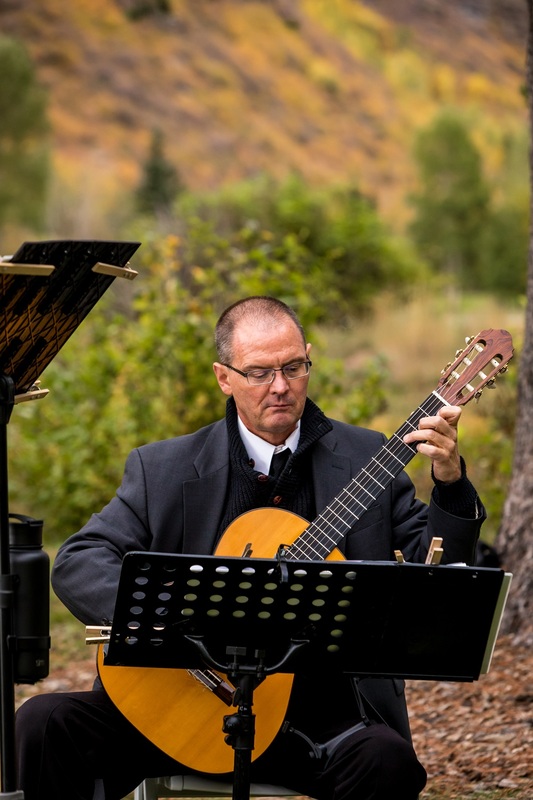 If you are having a very small wedding ceremony, you may want to hire a soloist. My specialty is the flute, and I often play solo flute for wedding ceremonies and cocktail hours. Solo flute, along with other single-note instruments, sounds great playing classical music but can also play any genre of music as long as the songs have a distinct melody. The sweet and rich sound of solo flute carries well and is easily heard outdoors, but is especially full and resonant in indoor spaces such as inside a church sanctuary. When I play solo flute for wedding ceremonies, I will often play classical music for the ceremony and then transition to more contemporary and jazz selections for the cocktail hour or reception. If you are planning to invite more than 50 guests or if the guests will be spread apart over a large area outdoors, I recommend hiring a duo or trio. Both our flute and violin duo and our flute and cello duo give a personal and intimate feel to a small wedding ceremony and have a fuller sound than a soloist. Both of these duos sound wonderful with classical music but many contemporary songs can also be arranged to be performed by these duos. If you want to hear mostly contemporary music at your wedding, a flute and guitar duo is the perfect choice. This duo retains a feeling of simplicity both visually and tonally, but has the most full sound of the three duos because the guitar can play several notes at once. This duo is very versatile and sounds great playing classical, popular, rock and jazz music. We often amplify this ensemble so that the guitar can be heard well. A trio is also a great option for a small wedding ceremony. Trios sound much fuller than duos, but still provide an intimate feel. Take a look at the flute trio that we offer. Whatever music you choose for your small wedding ceremony, the most important thing is to be true to yourself and your vision. If you don't know what ensemble to choose, communicate your thoughts to your local wedding music professional and they will help you choose the perfect ensemble to meet your needs. This past week I had the pleasure of playing solo flute for a memorial reception in Cherry Hills Village. The service was held at a beautiful private residence, and the high ceilings and openness of the house had wonderful acoustics for my flute. I played a mix of classical, jazz, and popular music and was also asked to add in a number of traditional Hawaiian tunes to honor the deceased's love of all things Hawaiian. I played about 60 different songs over the course of about three hours and it was wonderful way to spend the afternoon. Some of the pieces I played included Romanza from Eine Kleine Nachtmusik (Mozart), Waltz Op. 69 #2 (Chopin), Adagio from the Flute Quartet in D Major (Mozart), One the Wings of Song (Mendelssohn), Moon River, As Time Goes By, Fly Me to the Moon, (Everything I Do) I Do it For You, Misty, and What a Wonderful World. The Hawaiian selections included Dear Old Honolulu, Aloha 'Oe (Farewell to Thee), My Waikiki Mermaid, Halona (Beautiful Mountain), and Kawaihau (Hawaiian Rag-time).